There's something very special about the Fall season- whether it's the arrival of Pumpkin Spice Lattes, the changing colors of the leaves, or the slight chill in the air, Myrtle Beach in Autumn is truly something amazing to behold. If you are looking to spend your vacation along the Grand Strand at a time when prices are lower, the beach is less crowded, and traffic is much more manageable, then be sure to reserve your Fall beach escape today! 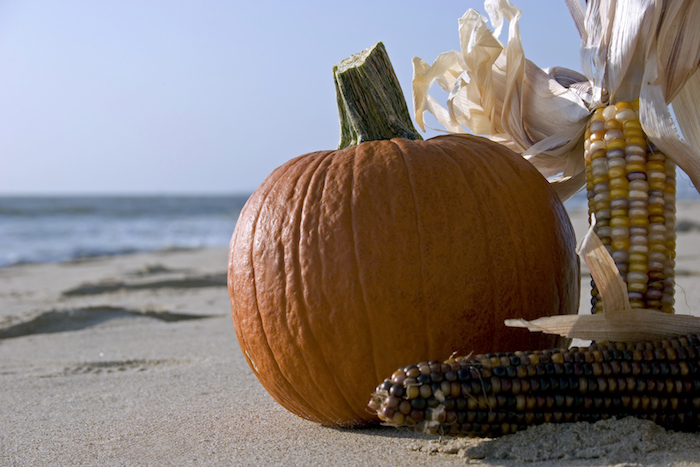 Here are our Top 5 suggestions for enjoying your Autumn vacation in Myrtle Beach! While Myrtle Beach may be known for its shopping, dining, and entertainment options, there is no escaping the natural beauty of our beach town. The Fall often offers up some of the greatest views of the Atlantic coastline, as well as the surrounding areas that provide other nature experiences as well. For example, spend some time with nature during your Fall beach getaway when you visit the Myrtle Beach State Park or Huntington Beach State Park. Mild temperatures set the stage for a fun day of trail hiking, fishing, or animal-watching from either of these beautiful parks. Though the ocean water may be too cool for swimming, there are still tons of activities to do outdoors during your Myrtle Beach vacation. If you find yourself on the South end of the beach, look for the bike rentals at Litchfield, which are sure to provide hours of fun and adventure for you and your group. On the North end, take advantage of outdoor sight-seeing adventures, including dolphin tours and dinner cruises.You will love the scenic beauty of Myrtle Beach during the Fall! The Fall season is widely known as one of the busiest times of the year for festivals, and in Myrtle Beach, it is no different. Beginning in late September and running through the beginning of the holiday season, you can enjoy many events scattered throughout the region. September's festivals include the Irish Italian Festival, St. John's Greek Orthodox Festival among others, and you can experience the Myrtle Beach Seafood Festival, Hippie Festival, and Oktoberfest during the month of October. Experience the Dickens Show in November, as well as Holiday markets and bazaars at the Market Common and other exciting locations. Fall is the time for festival season, and Myrtle Beach has enough to keep your Autumnal vacation busy! Even though Brookgreen gardens is also largely an outdoors space, there are so many great reasons to visit this attraction in the Fall, that it should get its own category! With thousands of trees, plants, and flowers, the gardens truly come alive as the Autumn colors come onto the scene. You will feel immersed in the sensations of Fall whenever you stroll through the sprawling grounds of Brookgreen Gardens. If you're in the area on the weekend of October 7, make a point to stop by for the Harvest Home Festival, featuring a fun-filled day of scarecrow-building, craft-making, hayrides, and much more! Everyone will enjoy a visit to Brookgreen Gardens in the Fall. Every Fall season, countless golfers descend upon the Grand Strand for the fantastic weather, thrilling course challenges, and valued camaraderie that they come back to experience year after year. With great deals available, cooler temperatures, and less crowds, Autumn is the perfect time to bring your golf clubs to the beach! Make the most of your golfing excursion by reserving your beach getaway during the Fall. With multiple shopping locations throughout the Grand Strand, you can easily get all of your holiday shopping done during your Fall beach escape in Myrtle Beach. On the North end, visit Tanger Outlets and Myrtle Beach Mall, located off of Highway 17. In Central Myrtle Beach, find great deals and special items at Coastal Grand Mall, Broadway at the Beach, and the Market Common. If you're spending time on the South end of the Grand Strand, visit the Hammock Shops of Pawleys Island for a unique shopping experience. With tons of over stores and boutiques scattered throughout the area, there is definitely no shortage of shopping opportunities when you visit Myrtle Beach! No matter your reasoning for planning a Fall vacation in Myrtle Beach, you and your family are sure to enjoy the cooler temperatures, great holiday shopping options, wide variety of festivals, and the general laid-back atmosphere of Autumn at the beach. Book your stay in one of our cozy beach homes today, and make the most of Autumn 2017.